Understanding grammar will help you on your way to foreign language fluency. When learning the Spanish language, it’s important to know about Spanish verbs. Verbs can be the most difficult aspect to learn in any language because all languages tend to have their own ideas on how verbs should be conjugated. Even languages like German that run on strict rules have numerous exceptions and irregular verbs. Romance languages like Spanish have considerably more irregular verbs and exceptions. This text is not going to spend too much time with exceptions because you have enough to worry about with all of the different tenses and types of conjugation (such as subjunctive and indicative). There are a few things to keep in mind as you begin to learn to conjugate verbs. Most subjects are understood. Only the formal subjects require a pronoun (usted and ustedes). Tú is extremely informal and is not used in formal settings or with strangers. It should be restricted to people who are close, like family and friends. The verb to be is critical in every language. Unlike English, Spanish has two versions of this verb. Éste es un libro. This is a book. Yo soy de los Estados Unidos. I am from the United States. Esta habitación está desordenada. This room is messy. Yo estoy ocupado. I am busy. Ustedes están cansados. You are tired. The following provides the conjugations for the verb ser. The following provides the conjugations for the verb estar. These verb conjugations will take rote memory to get right. It may also take a while to learn the right word (ser o estar) for different situations. Spend some time working with quizzes and apps to get a better feel of when to use the two different versions. This is a tense that you use frequently (I run, he finds, they send). When you’re learning the Spanish language, you may divide the simple present tense conjugation for regular verbs into three types. To conjugate all three of these types, you begin by removing the last two letters of the verb in infinitive, then add the ending that corresponds to the correct pronoun. The following table shows you what addition to make based on the subject. Spend some time practicing different verbs with these endings to get the rhythm. Once you have practiced them several times, simple present tense will become relatively easy to conjugate. Here are some common verbs that follow these conjugations. Use these verbs for practice in the next few sections. They follow the same conjugations. You can also go online and pull up long lists of verbs like these because they represent the way most Spanish verbs are conjugated (making it easy to practice). 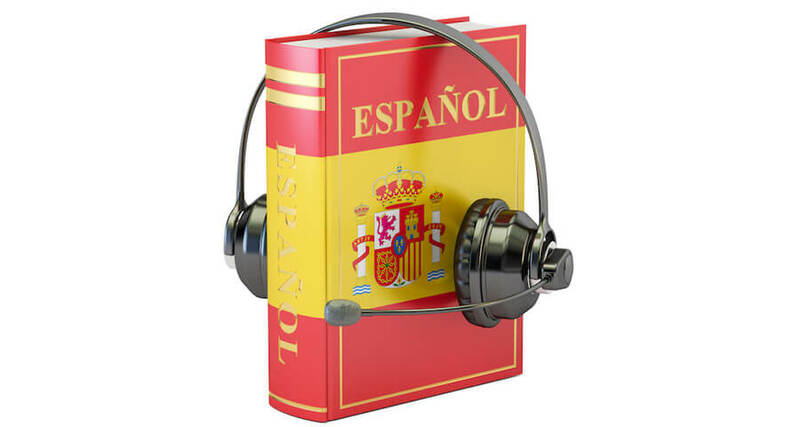 While you are learning the simple present tense conjugation, you can also expand your vocabulary and include many common verbs you will need in order to have a conversation in Spanish. Taking into consideration the same three verb endings, you can work with the simple past tense. The imperfect tense shows the way things used to be or how things happened in the past (he used to walk, they were walking). To show the imperfect tense for most verbs, remove the -r and add the appropriate ending. Future tense is the one conjugation that will be relatively easy to learn in Spanish. It requires less work because it has more repetition than any of the other tenses. Typically, you only need to tack on the necessary ending to complete the conjugation. Notice that the changes for all the verbs are exactly the same, so you won’t have to worry about what the ending is – you will only need to focus on the pronoun being used to properly conjugate the future tense verb. So far we have only looked at verbs in indicative mood, these are relatively straightforward. They indicate a degree of certainty and objectivity so that there is no doubt about what is being said. Make sure you learn these tenses before moving on because conjugation gets considerably more complicated going forward. The thing to remember about the subjunctive tense is that it also requires another verb, such as wish, want, and hope. That verb must be conjugated too, but for now we are focusing on the infinitive of the second verb (“I wish to eat,” “I want to run,” and “I hope to go”). All of these examples are for the three verbs already covered by the indicative case. Remember that this mood requires a degree of uncertainly. Phrases like “It’s good that” (Es bueno que) and “It’s likely that” (Es probable que) are followed by a subjunctive. Statements like “She likes” (A ella le gusta) are not subjunctive because it is stating that a person likes or enjoys something for sure. Verbs in the imperative mood are used in sentences that express petitions, commands, orders or prohibitions. They do not require (and rarely have) an explicit subject because the subject is understood (implicit) to be the person the speaker is talking to. The following is based on the verb caminar. There are some verbs that follow many of the patterns mentioned above, but have one or two exceptions. You have to pay particular attention to them to ensure that you don’t conjugate them incorrectly. This is where Spanish conjugation begins to get tricky. Many of the most commonly used verbs in Spanish are irregular. Irregular verbs don’t follow a predictable pattern. They are entirely unique. The following table addresses the irregular verbs that you are likely to need when you first start learning Spanish. The only way to learn these verbs is through memorization and regular practice (and use). The progressive tense uses the verb estar to show that the person is moving or is in motion. For the three primary types of verbs (-ar, -er, and -ir), it is relatively simple. This is true even for the irregular verbs, with a few exceptions (like ir – to go, or decir – to say or tell). There are some verbs in Spanish with a reflexive essence, such as “I stood up for myself.” (Me defendí). They rely on the use of reflexive pronouns to complete the thought. The verbs are conjugated the same way, but you need to add the right pronoun just before the verb. First you need to know the pronouns for these verbs. The following are some of the most common reflexive verbs. As you can see, when they are in infinitive mood (not conjugated) they end in –se. Me desperté a las ocho de la mañana. I woke up at 8 am. ¡Te dije que no! I said no! Se vistió rápidamente. He got dressed quickly. This section covers verbs that have no English equivalents or that are so irregular that it will be helpful to have a chart specifically for them. Gustar It translates roughly as “to be pleasing to”, but is often translated or read as “to like”. Ella le gusta el libro. Hacer It translates roughly as “to do” or “to make”. Hacer una bufanda. Hay “There is” – does not include a specific number (there are many people outside). Hay mucha gente afuera. Hay que “One must”. Hay que ser valiente de cara al mal. Habia “There was” or “there were” – does not include a specific number (there were too many stars to count). Había dos personas en la cocina esta mañana. Había que “Had to”. Había que comprar una chaqueta. Tener idiomatic version of “to have” or “to be”. Tengo un helado. Querer idiomatic version of “want to” or “wish to”. Quiero un abrazo de Ryan Reynolds. Saber “to know” something (fact, reason, idea). Yo sé que es agradable. Conocer “to know” something concrete (person, place, subject, literature). Conozco a Juan. There are several more common semi-irregular and irregular verbs that you should take the time to memorize along with their conjugations. Don’t try to learn them all at the same time (particularly with the ones in the main body of the ebook). You want to make sure you get one or two word conjugations right before you take on the next couple of words– that way you can ensure that you understand them so that you don’t have to think about the conjugation too much when speaking and writing.